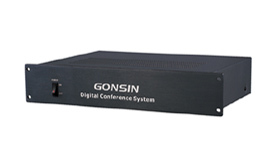 TL-VCB4200 digital conference system, designed for b tabletop installation, offers a multi-functional conferencing solution that combines microphone management, delegate discussion, digital voting, simultaneous interpretation, language distribution, attendee registration, chipcard reading, chairman priority, LCD display, headphone listening, video switching, camera tracking, digital recording and software control. 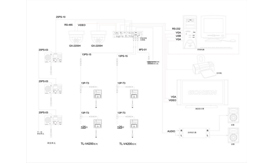 The basic system on a central control unit supports up to 60 delegate units and 5 dual-interpreter units, and can be expanded to 1000 delegate units with additional extension units. 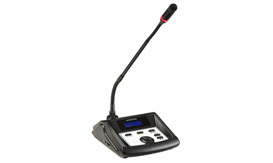 It can seamlessly interface with GONSIN IR/RF wireless transmission system to provide simultaneous interpretation for additional participants, ideally suited for use in a wide range of applications from city councils to parliament chambers, from boardrooms to convention centers, and from hotels to state houses. 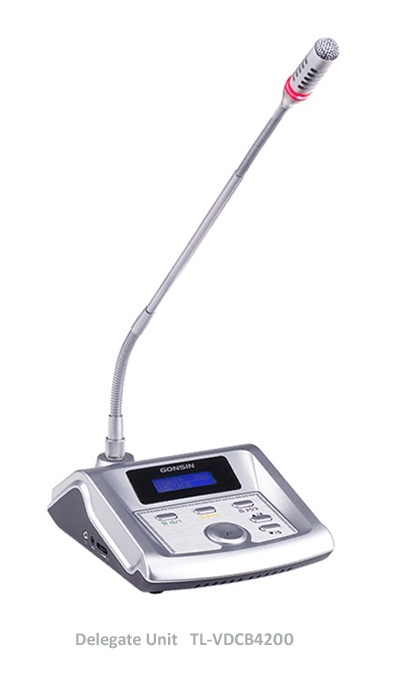 The basic conference unit allows the delegate to speak, request to speak and listen to speech. The integrated unit offers extended features of attendance registration, voting, election and simultaneous interpretation. Each conference unit comes with headphone jack and volume control for delegates to listen to the floor speaker and any interpreted language channel, and adjust volume level for comfortable listening. 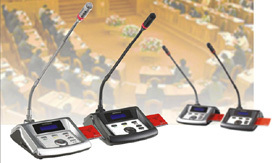 1 to 4 delegate microphones can be active at the same time. 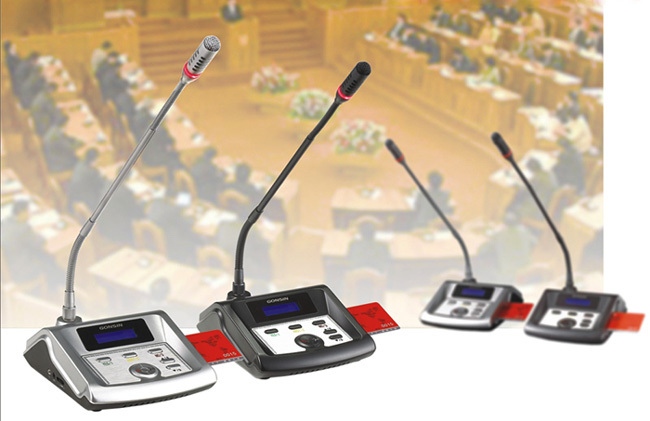 Multiple chairman and vice-chairman units can be used in one system, and can be active at any time regardless of preset delegate mic limit. Delegate unit can be configured as vice-chairman unit via software. Chairman unit has the additional priority button to override all delegate units to control the conference. modes are available for microphone management. • Attendance registration: by IC card, REG key press or late registration. 'equal number election' and 'quick election'. • Evaluation: 4-key evaluation (1/2/3/4): Good, Fair, Poor and Abstain. • Dynamic LCD messages for voting, discussion and interpretation. be active at any time regardless of the quantity limit of the preset delegate units. 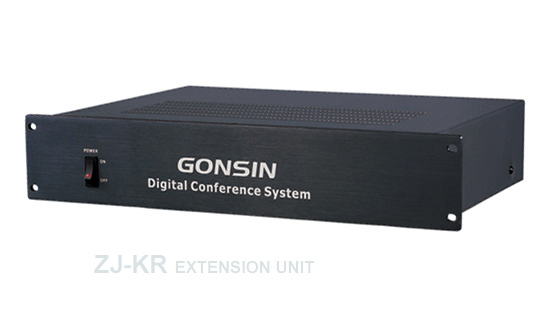 The ZJ-KR extension unit can support up to 60-70 delegate units in up to 3 lines. 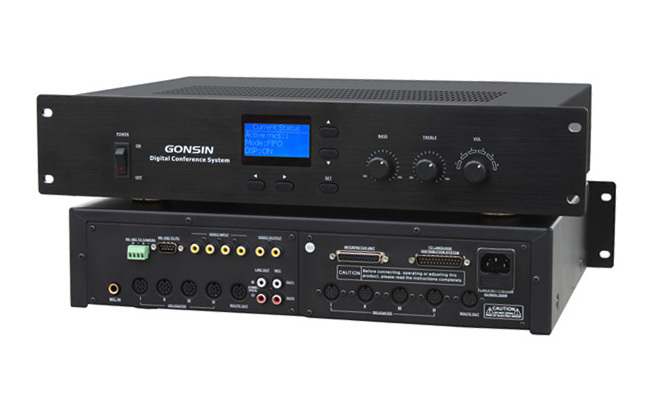 It connects the central control unit via a expander cable. 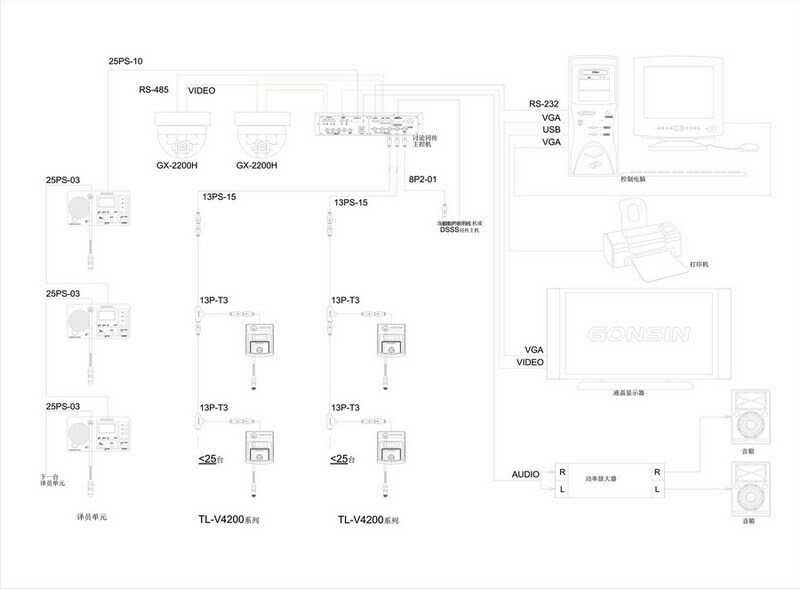 Multiple extension units can be cascaded together to expand the system to 200 delegate unit.